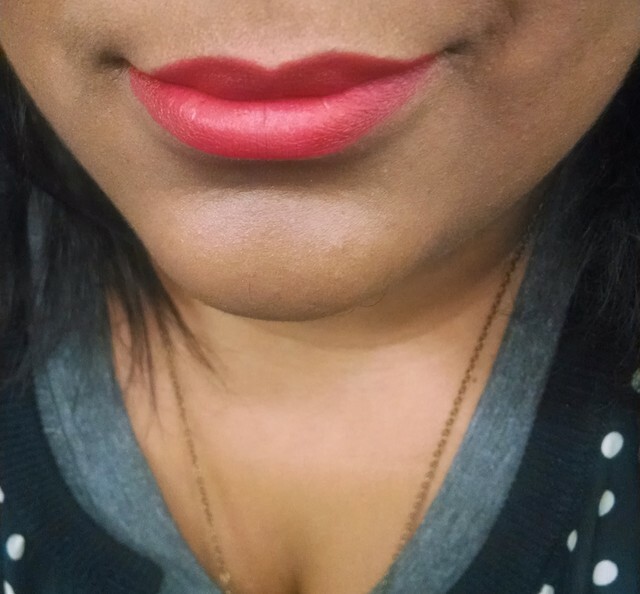 I was pleasantly surprised with the Revlon Colorburst lip pencils! It’s tough to choose which one I prefer. Matte and Glossy are both amazing! 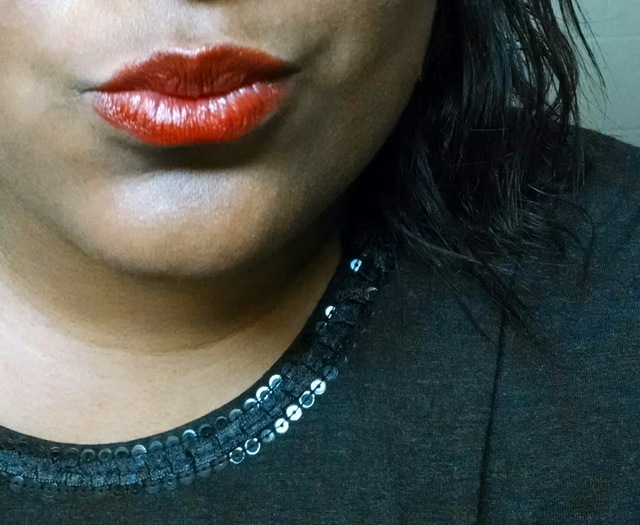 This lip pencil has a combo of Shea, Coconut and Mango butters to nourishes lips. It offers brilliant shine, and comes in 10 craveable colours. This is me wearing Enticing. This glossy tomato red and has a hint of shimmer and has great pigmentation. Here are all 10 shades! 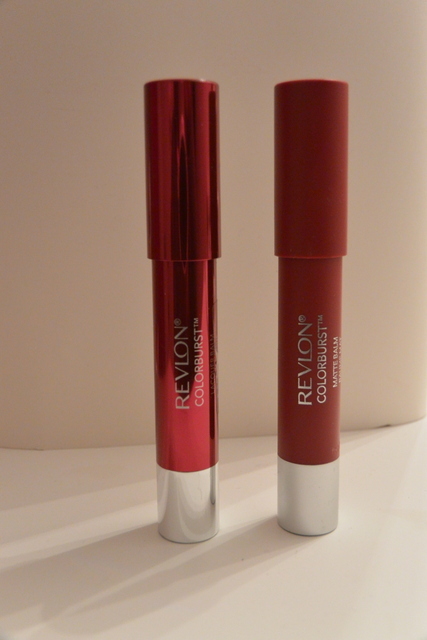 The Revlon Colorburst Matte lasts longer than the Lacquer. 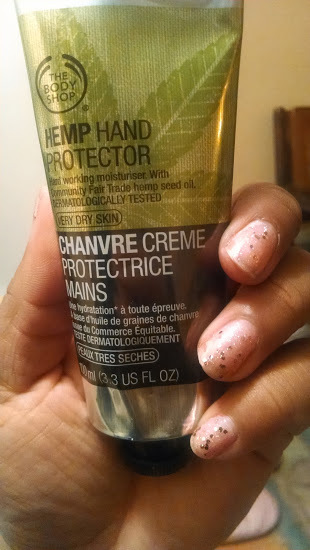 This finish is made with the same moisturizing trip butters, but has a velvety matte look. I’m wearing Striking. This colour turned lots of heads! Here are all 10 shades. So what do you think? Would you wear matte or gloss? 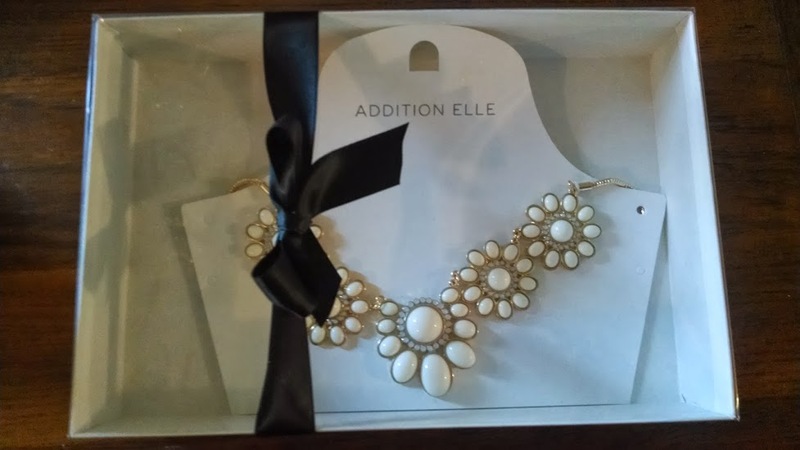 The other day I went to check out the new Addition Elle Spring collection to see what was in store! I started by checking out their athletic gear. They’ve picked some bold colours and prints- I like that! 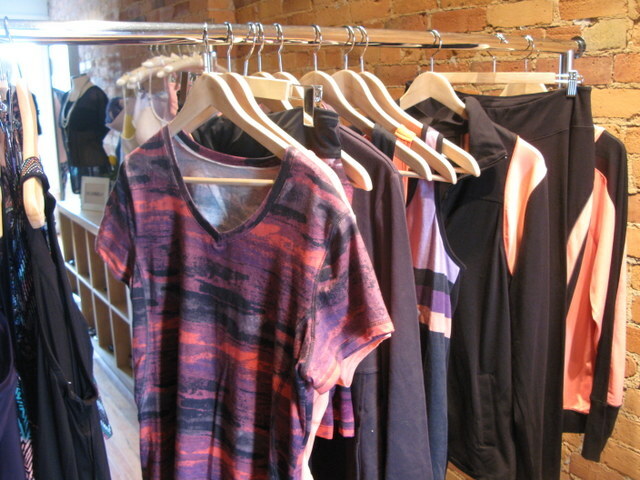 The fabric of the t-shirts have special sweat wicking properties. 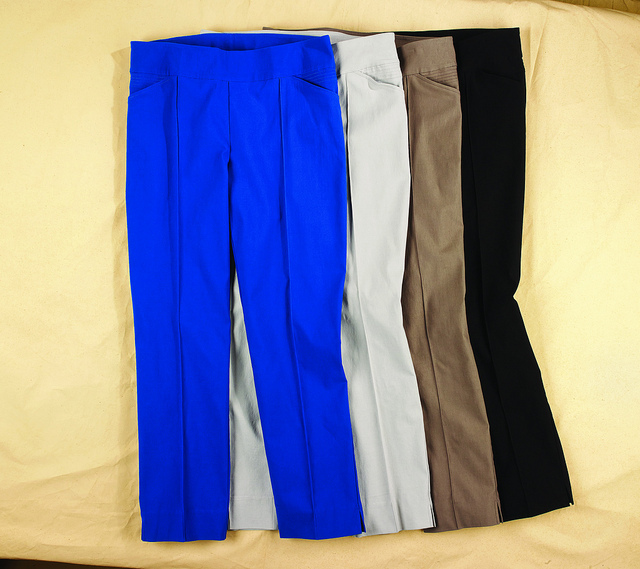 Tailored pants in bold and neutral shades. A favourite pairing of mine. And of course, lots of new lingerie! 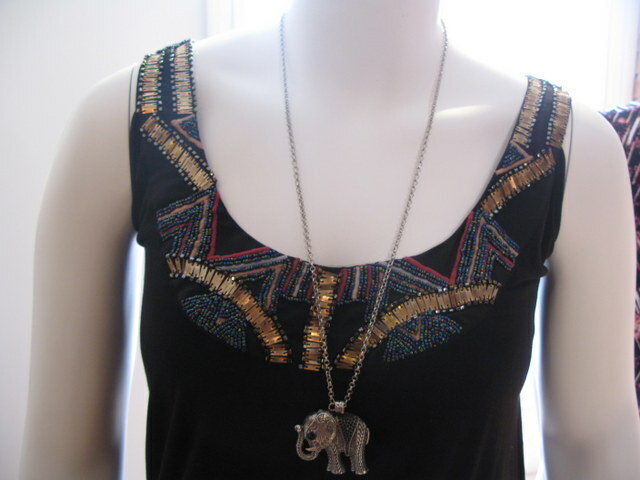 Ps: This little necklace has become a staple of my wardrobe! I also get loads of compliments everytime I wear it. Check out the Addition Elle Spring Lookbook! Backstage is always a flurry of excitement, but this year it seemed even busier than usual! 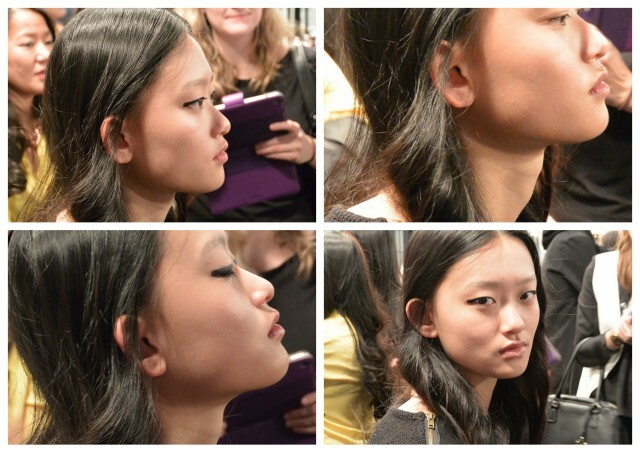 I caught up with Grace Lee, Maybelline New York’s Makeup Lead, backstage. She was creating the above look for Mackage. 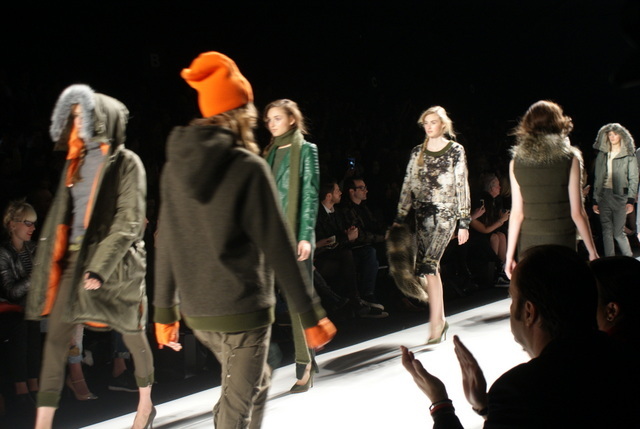 I was super thrilled to be at the Joe Fresh show at World Mastercard Fashion Week! 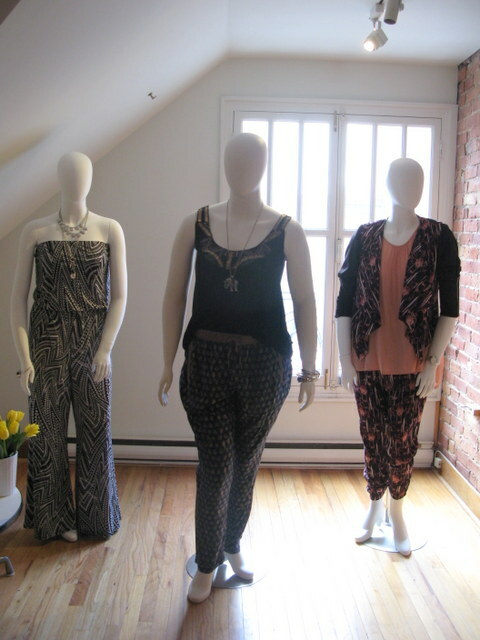 There’s something really awesome about seeing affordable clothing that you can literally go out and buy on the runway. 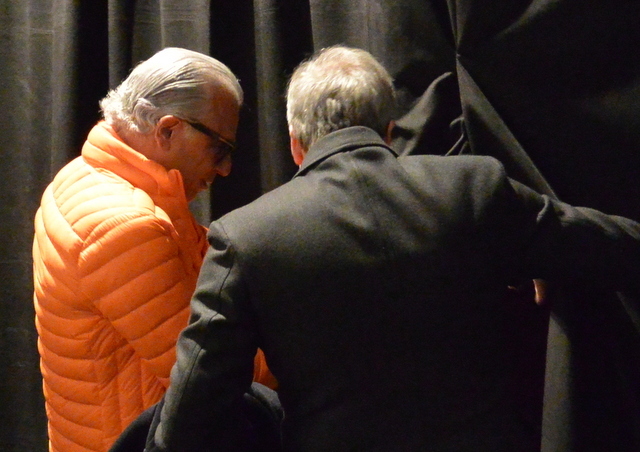 Before the show I spotted Joe Mimran himself in trademark orange backstage! It was very exciting. 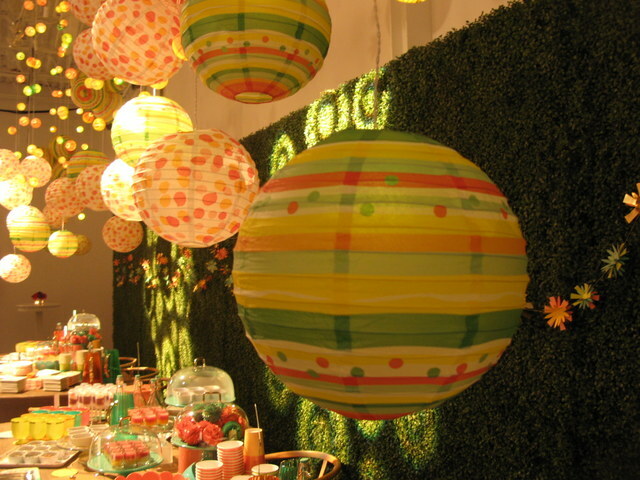 Last week, Target launched their newest designer collaboration with Sarah Stevenson. 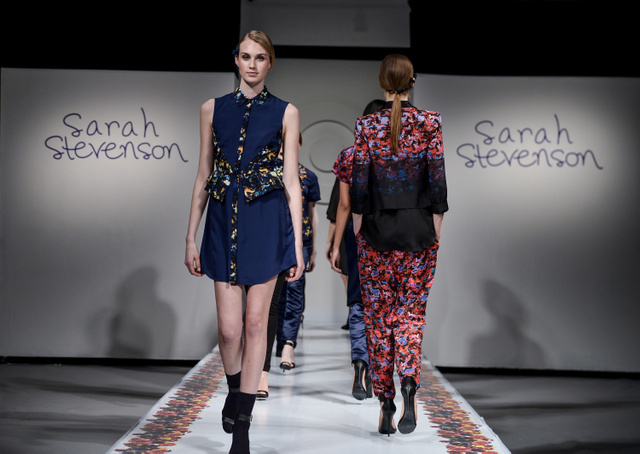 Sarah is the winner of the Toronto Fashion Incubator 2013 New Labels Fashion Design Competition and recent recipient of the 2014 CAFA Emerging Talent award. I’m really looking forward to this collection, and even more now!